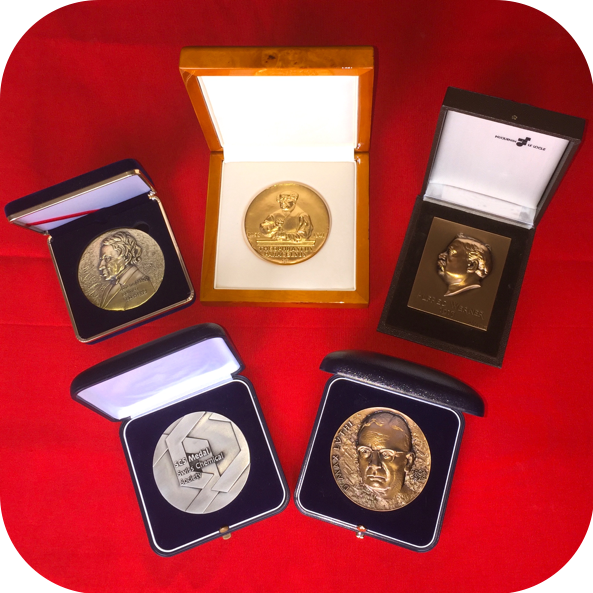 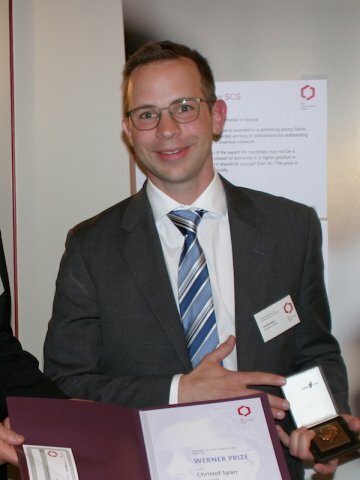 On die occasion of the SCS Spring Meeting dinner, Alain De Mesmaeker, SCS President, and Christian Bochet, SCS Vice-President, awarded the Werner Prize 2017 to Prof. Christof Sparr and Prof. Kevin Sivula for their outstanding research achievements in their still young career. 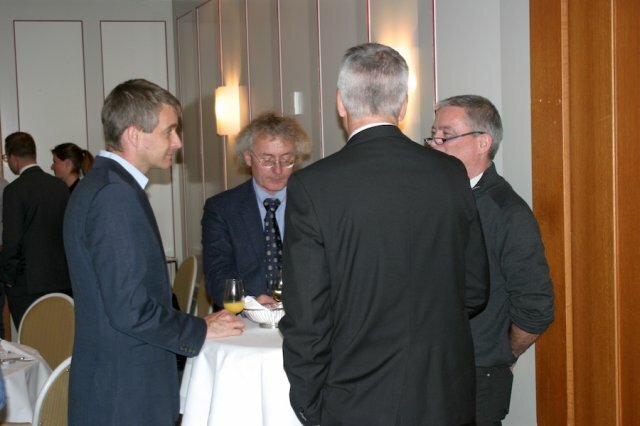 We like to take the opportunity to congratulate them again and wish all the best for their upcoming research projects. 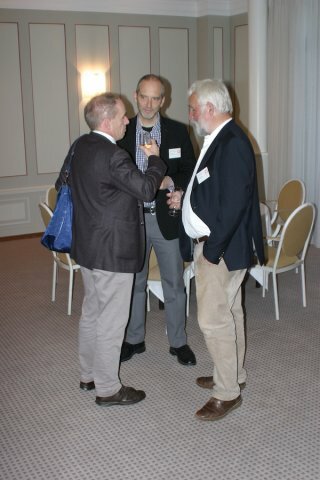 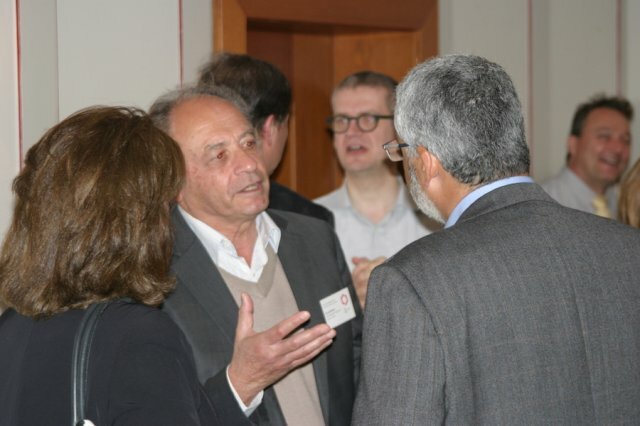 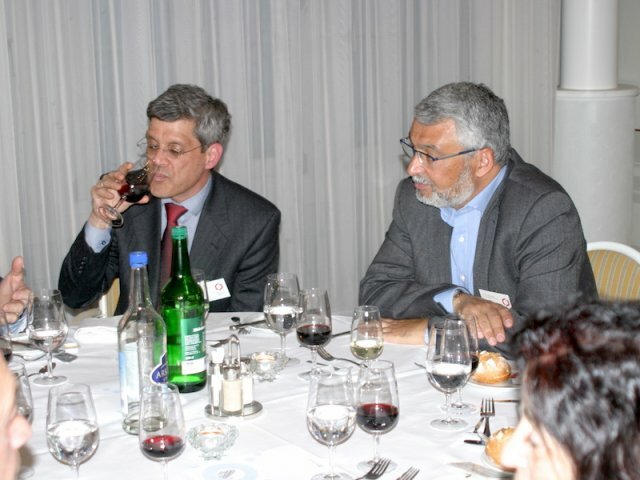 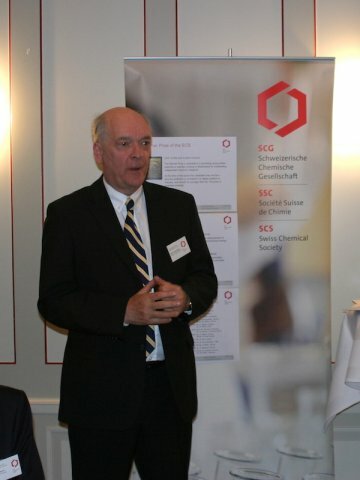 The ceremony took place in the restaurant Casino in Bern on April 21 and the lectures were part of the program of the SCS Spring Meeting 2017. 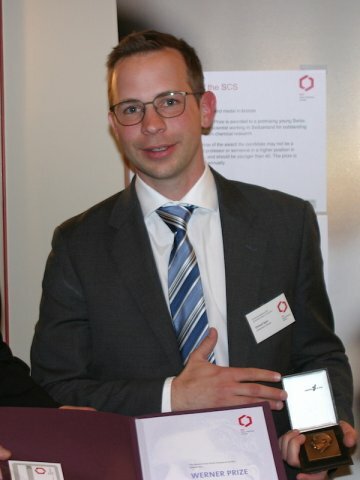 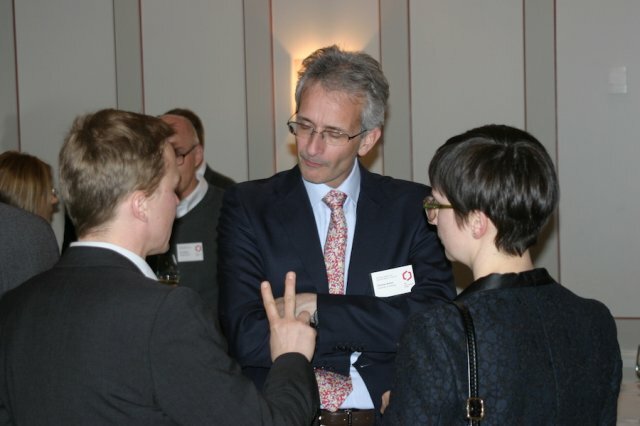 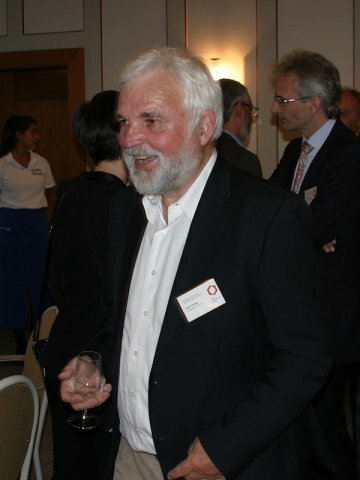 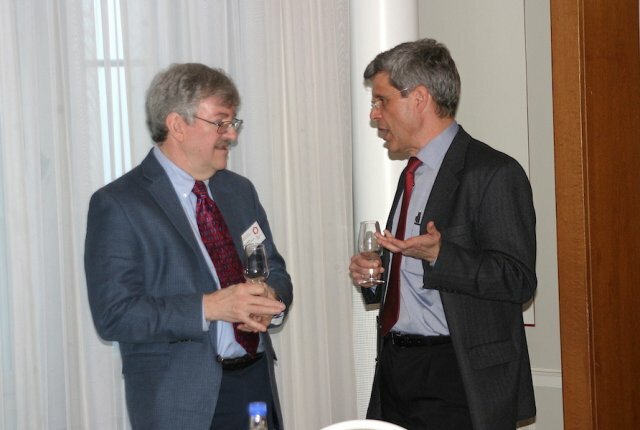 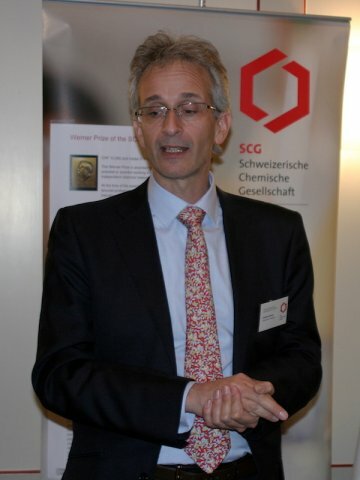 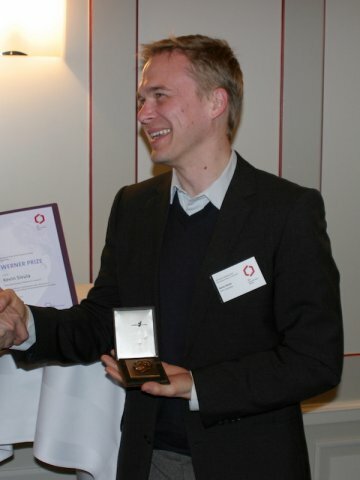 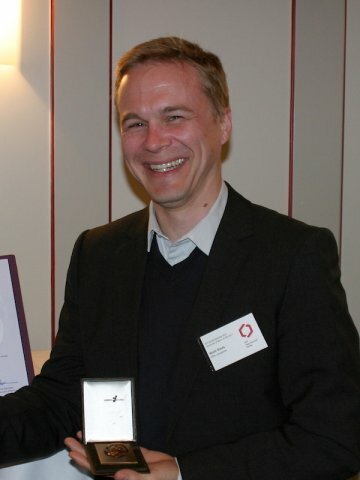 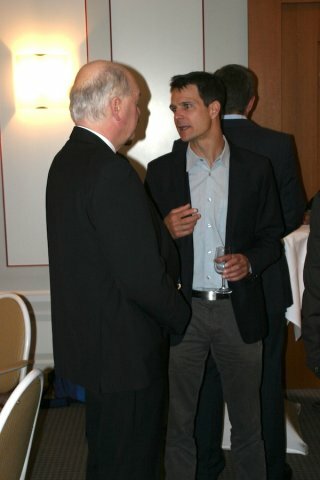 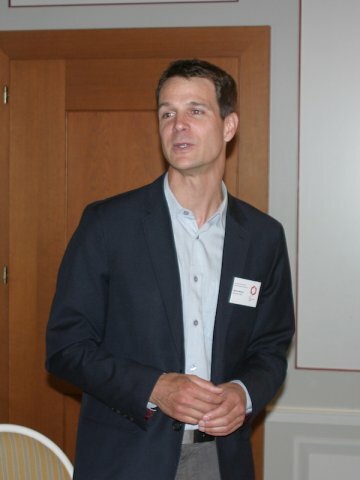 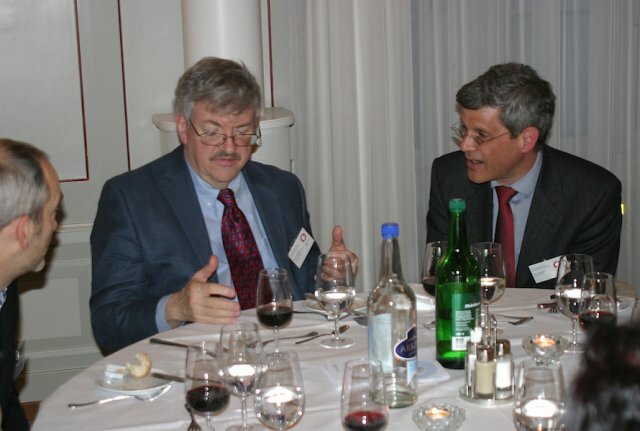 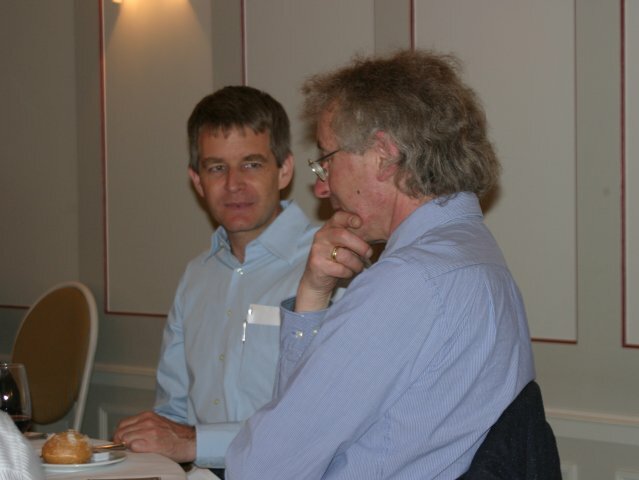 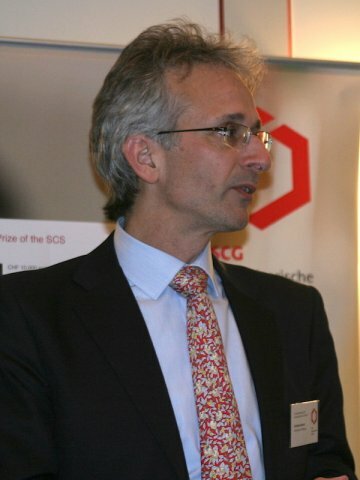 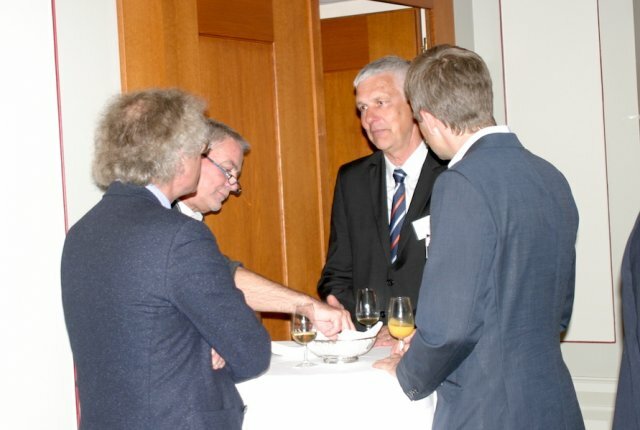 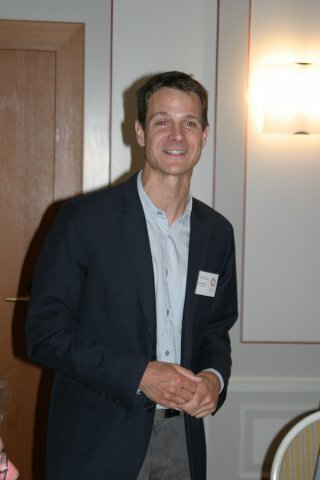 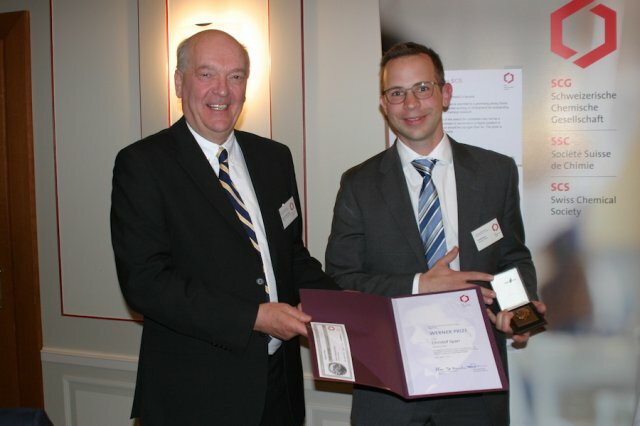 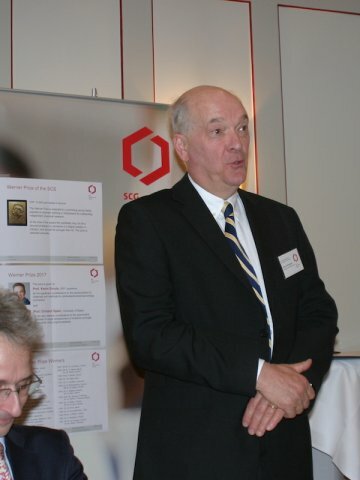 Prof. Christof Sparr, University of Basel, in recognition of his very creative contributions to the asymmetric synthesis of single atropisomers of hindered aromatic compounds using organocatalysis.